Robert Hannaford has now been a finalist in the Archibald Prize 22 times, winning the People’s Choice Award on three occasions. He met former prime minister Malcolm Fraser in 2001 when he was commissioned to paint the Centenary of Federation commemorative sitting of the Commonwealth Parliament in Melbourne. Hannaford did 100 drawings of different people, including Fraser, for the vast composition, which took over a year to complete. The portrait finally came about quite by chance. Hannaford was staying with a friend who happens to live a mile away from Fraser. ‘She knew Malcolm so she asked if we could call around and I asked him again about painting him and he said, “fine”,’ says Hanaford. 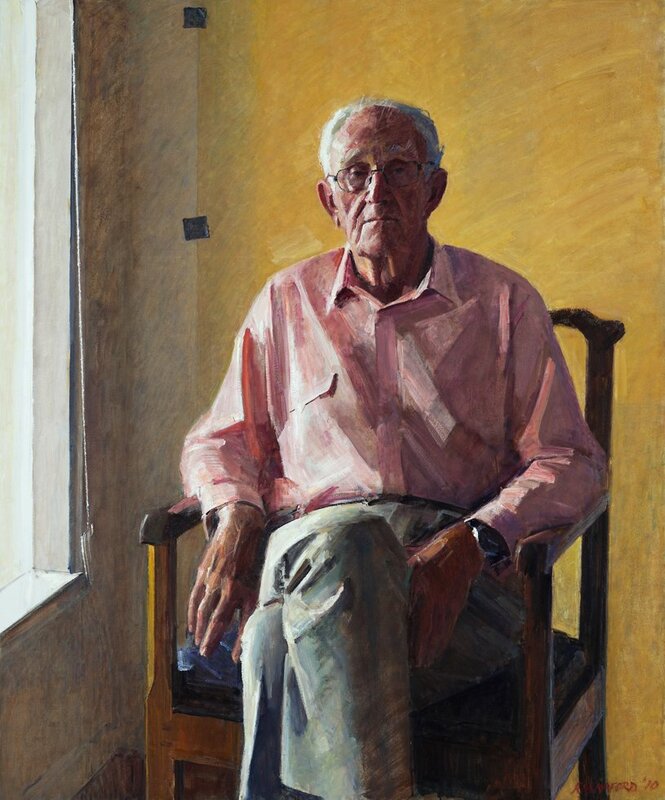 The portrait was painted directly from life over the course of six three-hour sittings one week at Fraser’s home on the Mornington Peninsula in Victoria. ‘It was a strange light and I had to put up with a few inconveniences but I enjoy that, it’s all part of the process,’ says the artist. Born in 1944, Hannaford lives and works near Riverton, South Australia. He won the Doug Moran National Portrait Prize in 1990 and the inaugural Fleurieu Landscape Prize in 1998. An acclaimed portrait artist, he has been commissioned to paint many well known figures, among them Paul Keating and Dame Joan Sutherland. He is also a highly regarded landscape painter and a sculptor.